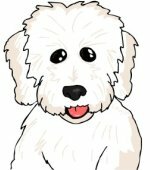 Coton Connection, Issue #043 - Are you a Coton Expert? How much do you know about your dog? I hope you and your beautiful Cotons are enjoying the summer weather. 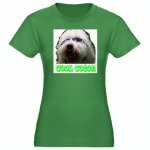 Do you think you're an expert on the Coton de Tulear? Test your knowledge and CLICK HERE to take this fast and fun quiz. Since the last newsletter came out which focused on safe chemical-free flea and tick prevention, I received a couple of e-mails from people who have had success with Pet Protector Nontoxic Flea and Tick Repellent. I'm thinking of switching to this once Luc's topical treatment (Only Natural Pet Herbal Defense) runs out. We've used it for 2 months with great results, but it has to be reapplied after every bath. Because Luc has to bathe frequently due to his skin allergies, this is turning out to be expensive. I like the fact that Pet Protector just gets placed on the collar and lasts for 4 years. And of course, I love that it's chemical-free. If anyone has used it, please let us know what you think of it.